Aims and Objectives: We investigated the correlation of reduced cardiac output on required sevoflurane to maintain targeted anesthesia depth. Materials and Methods: 36 patients undergoing coronary artery bypass grafting with cardiopulmonary bypass were prospectively included in the study. Inspired sevoflurane concentration was adjusted to ensure state entropy index < 40. 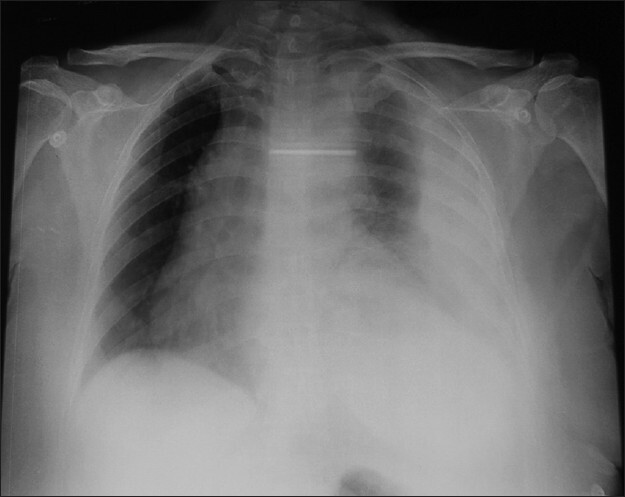 Analgesia was provided by either boluses of fentanyl 200 μg or continuous infusion of fentanyl 5 μg/kg/h; the total dose of fentanyl administered in the patients was not different (fentanyl boluses 6.5 ± 0.3 μg/kg/h vs. fentanyl infusion 5 μg/kg/h). Cardiac-index (CI), end tidal sevoflurane (ETsev) and entropy index were measured simultaneously at 1-5 min after sternotomy, during internal mammary artery harvesting and during pericardiotomy. 108 sets of variables (entropy index, ETsev, CI) were recorded from 36 subjects at three time points; 13 sets were excluded due to technical drawbacks in measurements. 95 data sets were eligible for analysis. Sixty-five data sets measured in patients with target state entropy index were analyzed to establish the relationship between CI and ETsev. 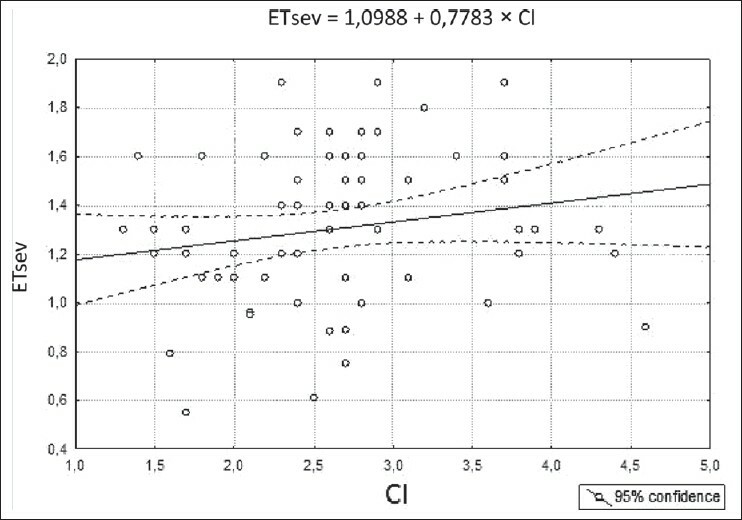 Results: We did not find a linear correlation between ETsev and CI in patients with target entropy index (correlation coefficient = 0.18, P = 0.14). The ETsev necessary to maintain the target level of anesthesia was lower in patients with CI ≤ 2.2 l/min/m 2 (1.15% ± 0.28%) than patients with CI > 2.2 l/min/m 2 (1.37% ± 0.31%), P = 0.01. Conclusion: Relationship between CI and ETsev required for maintaining target level of anesthesia is non-linear. Patients with CI ≤ 2.2 l/min/m 2 need lower levels of the ETsev for maintenance of the target anesthesia at an entropy index < 40. Aims and Objectives: We used near-infrared spectroscopy to document changes in cerebral tissue oxygen saturation (SctO 2 ) in response to ventilation mode alterations after bidirectional Glenn (BDG; superior cavopulmonary connection) procedure. We also determined whether spontaneous ventilation have a beneficial effect on hemodynamic status, lactate and SctO 2 when compared with other ventilation modes. Materials and Methods: 20 consecutive patients undergoing BDG were included. We measured SctO 2 during three ventilator modes (intermittent positive-pressure ventilation [IPPV]; synchronized intermittent mandatory ventilation [SIMV]; and continuous positive airway pressure + pressure support ventilation [CPAP + PSV]). We, also, measured mean airway pressure (AWP), arterial blood gases, lactate and systolic arterial pressures (SAP). 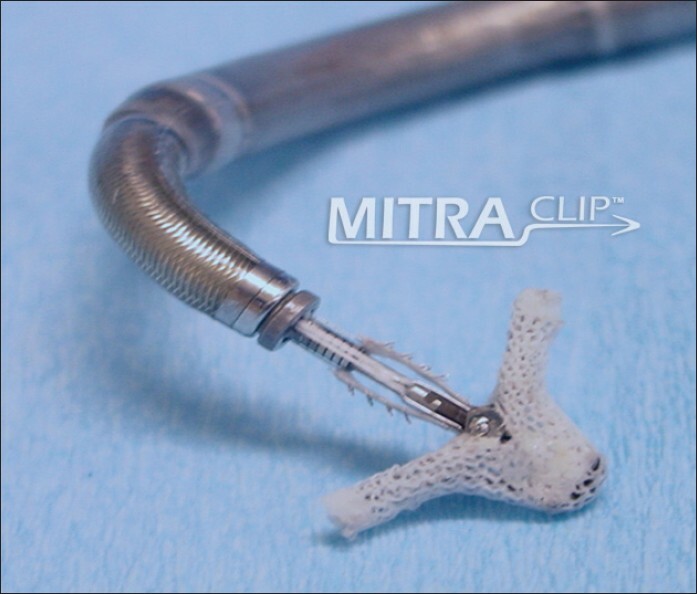 Results: There was no change in SctO 2 in IPPV and SIMV modes; the SctO 2 measured during CPAP + PSV and after extubation increased significantly (60.5 ± 11, 61 ± 10, 65 ± 10, 66 ± 11 respectively) ( P < 0.05). The differences in the SAP measured during IPPV and SIMV modes was insignificant; the SAP increased significantly during CPAP + PSV mode and after extubation compared with IPPV and SIMV (109 ± 11, 110 ± 12, 95 ± 17, 99 ± 13 mmHg, respectively) ( P < 0.05). Mean AWP did not change during IPPV and SIMV modes, mean AWP decreased significantly during CPAP + PSV mode (14 ± 4, 14 ± 3, 10 ± 1 mmHg, respectively) ( P < 0.01). Conclusions: The SctO 2 was higher during CPAP + PSV ventilation and after extubation compared to IPPV and SIMV modes of ventilation. The mean AWP was lower during CPAP + PSV ventilation compared to IPPV and SIMV modes of ventilation. Despite significant improvements in overall outcome, neurological injury remains a feared complication following pediatric congenital heart surgery (CHS). Only if adverse events are detected early enough, can effective actions be initiated preventing potentially serious injury. The multifactorial etiology of neurological injury in CHS patients makes it unlikely that one single monitoring modality will be effective in capturing all possible threats. Improving current and developing new technologies and combining them according to the concept of multimodal monitoring may allow for early detection and possible intervention with the goal to further improve neurological outcome in children undergoing CHS. Cardiac surgery carried out on cardiopulmonary bypass (CPB) in a pregnant woman is associated with poor neonatal outcomes although maternal outcomes are similar to cardiac surgery in non-pregnant women. Most adverse maternal and fetal outcomes from cardiac surgery during pregnancy are attributed to effects of CPB. The CPB is associated with utero-placental hypoperfusion due to a number of factors, which may translate into low fetal cardiac output, hypoxia and even death. 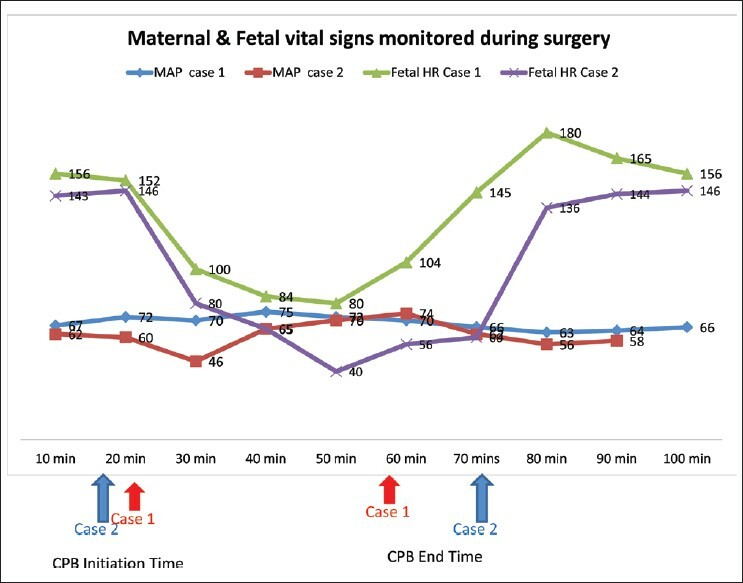 Better maternal and fetal outcomes may be achieved by early pre-operative optimization of maternal cardiovascular status, use of perioperative fetal monitoring, optimization of CPB, delivery of a viable fetus before the operation and scheduling cardiac surgery on an elective basis during the second trimester. The fetal death rate associated with cardiac surgery with cardiopulmonary bypass (CPB) is as high as 9.5-29%. 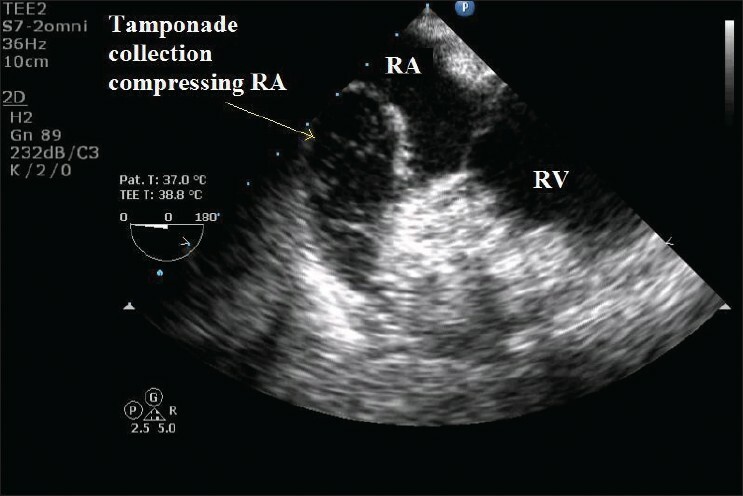 We report continuous monitoring of fetal heart rate and umbilical artery flow-velocity waveforms by transvaginal ultrasonography and their analyses in relation to events of the CPB in two cases in second trimester of pregnancy undergoing mitral valve replacement. 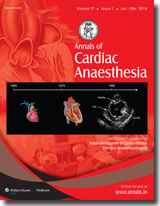 Our findings suggest that the transition of circulation from corporeal to extracorporeal is the most important event during surgery; the associated decrease in mean arterial pressure (MAP) at this stage potentially has deleterious effects on the fetus, which get aggravated with the use of vasopressors. We suggest careful management of CPB at this stage, which include partial controlled CPB at initiation and gradual transition to full CPB; this strategy maintains high MAP and avoids the use of vasopressors. Maternal and fetal monitoring can timely recognize the potential problems and provide window for the required treatment. Improved survival from congenital heart disease has led to an increasing need for complex reoperation by reentrant sternotomy. 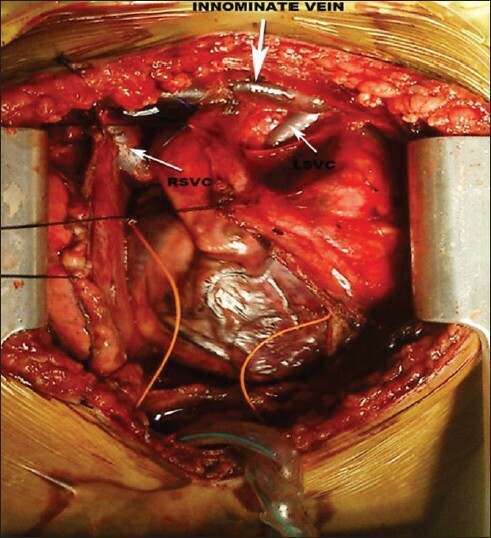 Peripheral cannulation and initiation of cardiopulmonary bypass prior to sternotomy to avoid the risk of cardiac injury and massive hemorrhage is an option in adults and larger children, but femoral vessel size precludes this strategy in infants. 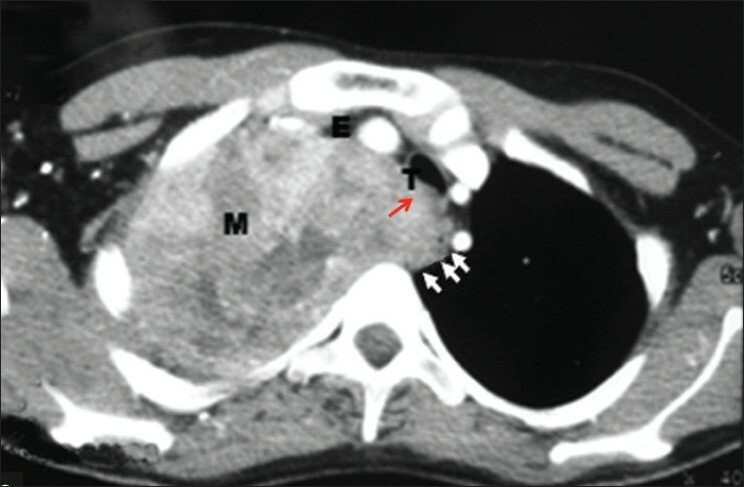 We describe the management of a high-risk reentry sternotomy in an infant for repair of a giant pseudoaneurysm after prior homograft repair of tetralogy of Fallot, using surgical dissection for suprasternal cannulation of the innominate artery and subxyphoid cannulation of the inferior vena cava. 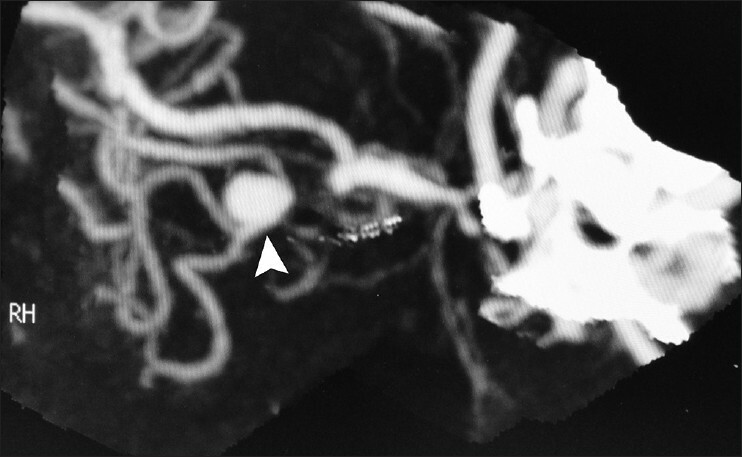 A 48-year-old female patient underwent coronary artery bypass surgery. 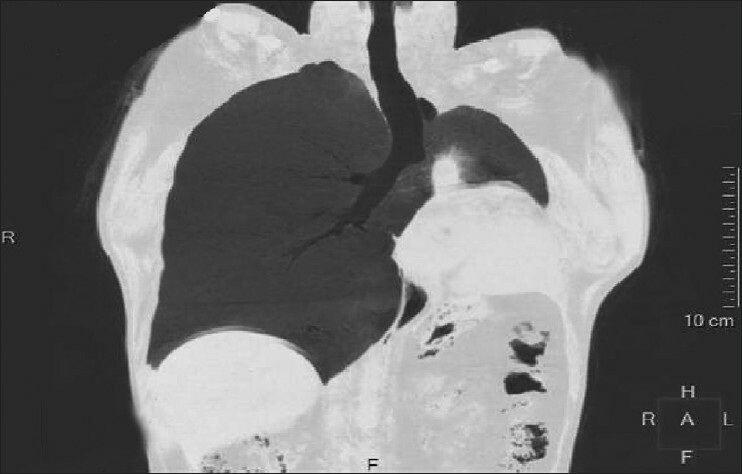 One-hour after surgery, the patient developed hemodynamic instability. 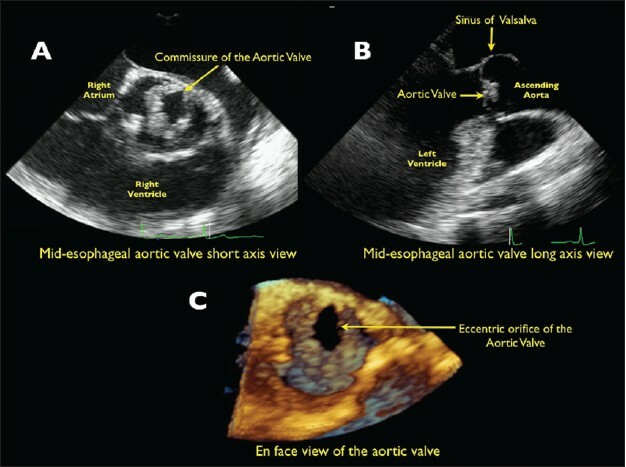 Transthoracic echocardiography (TTE) was inconclusive. 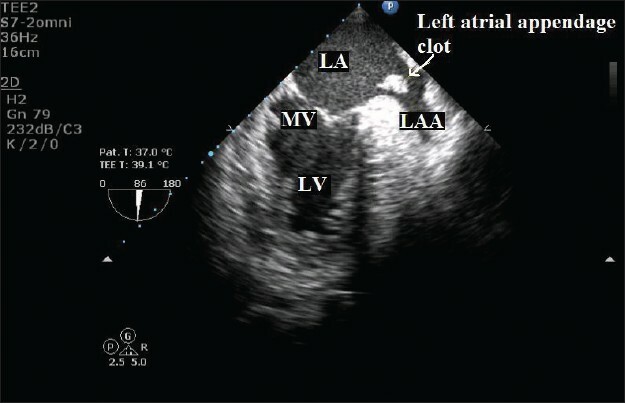 Transesophageal echocardiography (TEE) was performed and it revealed localised collection around right atrium. In spite of the evidence of localized tamponade, wait and watch policy was employed rather than re-exploring the patient emergently. The patient recovered uneventfully. If hemodynamics remain stable and there is no fall in hematocrit and no increase in effusion on TEE/TTE examination, then localized tamponade can be managed conservatively without reexploring the patient.